Watch the video or read the transcript below to learn best practices when shredding your tax records and why you should keep those records for at least 3 years. Typically, the IRS has 3 years after the due date of your return (or the date you file it) to initiate an audit, so you should plan to keep your tax returns and supporting documents for at least 3 years before shredding them. 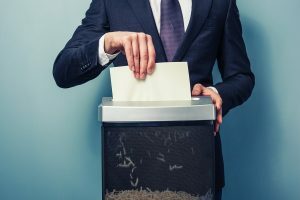 There are some exceptions though, as some types of documents need to be kept for more or less than the “3-Year Rule.” There are 3 main milestones for how long you should keep old tax records before shredding: 1 year, 3 years, and 6 years. Different types of information used for your taxes need to be kept after filing for both security and legal compliance. It’s important you’re able to provide all the documents you used to file, as the IRS has up to 6 years to audit tax returns. As you do taxes each year, you can follow a schedule or timeline to be sure you stay organized with what records to keep, and what you should be shredding after submitting your return. As you file taxes, compare your pay stubs over the past year to W-2s, and similarly compare monthly brokerage statements to your 1099s to ensure they line up. Once you submit the return, shred those stubs and statements. After filing, go back 3 years to shred the old tax return forms, W-2s, 1099s, K-1s, canceled checks, receipts for charitable contributions, and other information used in past taxes. While it’s not recommended, if you file your tax return and fail to report more than 25% of your gross income, wait to shred those W-2s, 1099s, and other tax forms for 6 years in case of an IRS audit. After keeping for 7 years, shred old tax records for closed retirement accounts (like IRAs) and losses from worthless securities or bad debt deductions. While most records have a solid retention time, there are some more unique situations that require a different approach for how long to keep them. Keep records showing contributions to a nondeductible IRA for 3 years after the account is depleted. Without these, you can’t prove you already paid taxes on contributions and shouldn’t be taxed when the money is withdrawn. To report purchase dates and prices in order to establish your cost basis for the year, keep investment records showing transactions in a taxable account (like stock, bond, mutual fund, and other investment purchases) for up to 3 years after you sell the investments. Keep home purchase documents and receipts for home improvements for 3 years after selling the home. Most people don’t have to pay taxes on home sales, but because deductions can change depending on how long you lived in the house, it’s important to keep home purchase records. While you may want to wipe your hands and walk away after you finish your taxes, there are a few last steps you need to take before pushing out your chair. With recent identity theft numbers climbing every year, it’s important to securely dispose of the sensitive information in your tax files. When it’s time to shred, be sure to use cross-cutting or other more secure types of shredding services. A common recommendation for storing paper files is a fire-proof safe. Alternatively, record storage facilities use climate control and fire-suppression systems to prevent disaster, and can also track retention and notify you when it’s time to shred old records. One option for managing the documents you need to keep for future tax returns is to scan them and store your records digitally. With digital records, it’s easy to organize and keep track of files, helping you avoid losing the documents you need to keep for an extended period of time. 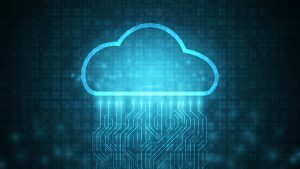 The IRS will still accept digital files as long as they’re legible, so in order to save space and stay organized consider keeping a backup of your tax records using a cloud storage service. Have Tax Documents to Shred or Store? Shred Nations partners with secure shredding and storage services nationwide. To let us help find the perfect service for you, fill out the form on the right or give us a call at (800) 747-3365 for free no-obligation quotes from shredding services in your area.